Located in an historical building in the vicinity of Malmo's railway station, these offices offer a professional environment and a charming atmosphere. They benefit from first-class services and numerous facilities, including 24-hour access, administrative/IT support, and copy and printing facilities. There are reception services, and the secretarial team will provide telephone answering services for your convenience. There is also a number of events spaces close by where you can host networking events. Fully furnished office spaces are available in the south of Malmo, providing highly accessible workspace solutions for forward-thinking companies of any background. Provided with a full range of services, which are flexible and can accommodate needs of companies and entrepreneurs. In the surrounding area, you will find an abundance of eateries and cafes, as well as several fitness centres and sports clubs. Found between central Malmo and Copenhagen airport, this business space offers various office solutions including coworking spaces, private offices and virtual office solutions. Your membership also allows for access to meeting rooms and 24 hour access so you can work at your own pace and around the clock, giving you all the flexibility you need. With the Emporia shopping mall found nearby you have access to various supermarkets and eateries. 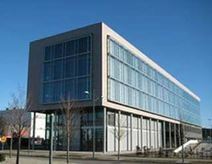 This modern and stylish building offers first-class offices, in-house restaurant and gym facilities. It benefits from an excellent location with good connections to Denmark and other Swedish areas. This area is well serviced and will host a new massive centre with shops, restaurants, offices and exhibition facilities. The airport is just under 30 minutes away so you can accommodate overseas contacts easily. Centrally located just minutes from Malmo train station this centre provides 1400m² of creative workspace and a large network of professionals. Tenants have fantastic views over the water and as a member you also have access to a business lounge in Stockholm. There is also mail handling services for your convenience. The surrounding area offers an abundance of local amenities, eateries, events spaces and historical monuments. 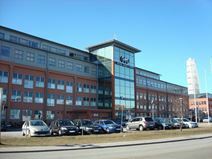 An impressive centre situated in central Malmo offering furnished office-spaces available to let on flexible terms. Amenities provided include high-speed internet, meeting rooms, reception area, 24-hour access and disabled access. The office-spaces also maintain good levels of natural light throughout the day. Moreover, the local area is well connected with public transport links including the Centralstation Malmö station. A lot of local amenities are easily reachable by foot as well, including several restaurants, bars and retailers. This business centre is close to the train station, shopping centre, cafés and more. The centre offers fully serviced office accommodation, accessible 24-hours a day. This is a friendly business environment, providing a range of helpful business amenities. With a couple of kitchen/café areas, fully equipped kitchen, free coffee/tea/chocolate and sparkling water for guests, this accommodating centre will ensure a comfortable atmosphere throughout your occupation. Just five minutes away by foot, you can the charming Malmö Opera House. A massive office space is available to let in a brand new business district, which hosts offices, shops, restaurants, exhibition and fitness facilities. These office spaces are modernly equipped to a high standard and provided with all the facilities and services needed to run a successful and dynamic business. Centrally located in Malmo and easily connected to other Swedish areas and to Copenhagen, this centre is becoming an attractive and important meeting place for various businesses.